JOIN US FOR THE BEST CONFERENCE OF THE YEAR! 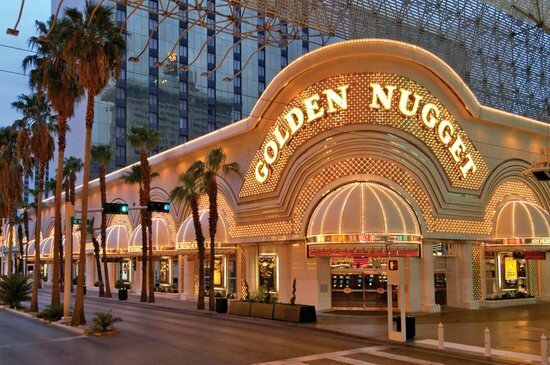 Take a nostalgic trip back to where it all started - The Golden Nugget Hotel and Casino! NOTE: On-line registration ends on Friday, February 15, 2019 at 5:00 p.m. EST. Reserve Your Room Online Today! 800-351-5731 Reservation line: identify yourself as being with PBUS Winter Meeting. Guaranteed room rate ends Monday, January 28, 2019. Full registration: includes all breaks, general session(s), breakout session(s), exhibit hall, Tuesday Awards Luncheon, and Council of Presidents' meeting. Guest registration: includes all breaks, exhibit hall, and Tuesday Awards Luncheon. Does not include any general session(s), breakout session(s) or Council of Presidents' meeting. A GUEST CANNOT BE A LICENSED BAIL AGENT. One-day pass: includes educational sessions, exhibit hall and Council of Presidents' meeting if the pass is for Tuesday, February 26, 2019. The one-day pass does not include any meal events; meal tickets for the For Women Only luncheon on Monday and the Tuesday Awards Luncheon can be purchased separately. Please note that the prices for a one-day pass have increased to $300 for an active PBUS member and $450 for a non-member. Low room rates and your choice of tower rooms! Carson Tower - $65 per night (plus $10 resort fee plus 13% tax and 13.38% room tax) Sunday - Thursday. Friday and Saturday night rates are $109 (plus resort fee and tax). Gold Tower - $85 per night (plus $10 resort fee plus 13% tax and 13.38% room tax) Sunday - Thursday. Friday and Saturday night rates are $139 (plus resort fee and tax). Rush Tower - $95 per night (plus $10 resort fee plus 13% tax and 13.38% room tax) Sunday - Thursday. Friday and Saturday night rates are $149 (plus resort fee and tax). Get these great rates WHILE THEY LAST! The guaranteed room rates are valid through Monday, January 28, 2019. Room reservation link is on the side bar or call 800-331-5731 reservation line: Identify yourself as being with the PBUS Winter Meeting!! Exhibit Information: THE EXHIBIT HALL IS SOLD OUT! Thank you to all exhibitors, both past and new, who will be joining us at the winter conference. We appreciate your support and the conference attendees are looking forward to visiting each of you! The exhibit hall schematic is located in the side bar to the right, which is updated as booth assignments are contracted. A map of the conference space is also available. Exhibitors should review the schematic and booth assignment process before completing the exhibitor contract. Booth locations are assigned on a first come, first serve basis. Please note that potential exhibitors may be turned away if they would be placed near or next a competitor. PBUS will hold a membership meeting on Tuesday, February 26, 2019 in the afternoon; changes to the bylaws may be made. Members do not have to be registered for the conference to attend the membership meeting; security will let non-registered members into the membership meeting as it begins. In lieu of the Tuesday night Gala dinner, PBUS will host an Awards luncheon on Tuesday, February 26, 2019; keynote speaker to be announced in the near future! Join us as we celebrate the men and women in the bail industry who have gone above and beyond to advocate for the critical role we play in the criminal justice system. This ticket is part of the full and guest registration; additional tickets can be purchased when registering or HERE. The FWO committee will be hosting another exciting luncheon at the winter conference on Monday, February 25, 2019. The luncheon IS NOT part of the registration fee but can be purchased with your registration or HERE. Men who purchase a ticket may also attend the luncheon. Keynote speaker is Fabio Lanzoni, an Italian-born actor, fashion model and spokesperson. Born in Milan, Italy, Fabio had already established himself as a top model and Mr. Europe before arriving in America. During his first week in New York, he signed with the Ford modeling agency and quickly became their number one model. From there, an assignment to pose for a romance novel cover turned into 2,000 such assignments and his life changed dramatically. Fabio developed and launched his "Healthy Planet Nutrition" line of whey protein nutritional supplements in 2012, which became a best-selling product for Whole Foods Markets across the Western U.S. He also launched his signature line of women's apparel at Sam's Club division of Wal-Mart. He has been involved in many advertising campaigns, including "I Can't Believe It's Not Butter! ", "New Old Spice Guy Fabio," Super Bowl XL commercial for Nationwide Insurance and Oral-B Sensitive Advantage toothbrush. Fabio has been an ardent critic of the California leadership and criminal justice reform bills passed, that have taken the side of the criminals instead of law-abiding taxpayers. He was a victim of crime himself when thieves stole more than $200,000 worth of valuables from him. Join us for the 2nd Annual PBUS poker tournament held on Sunday, February 24, 2019 beginning at 6:00 pm in the Golden Nugget Poker Room. The poker tournament is a fun way to socialize with other bail professionals and gives you the opportunity to walk away with cash. The cost of the tournament is $100 per person payable at the door. Sixty (60) seats are available with the opportunity for other players to purchase alternate seats. The tournament will offer unlimited re-buys within the first hour if a player gets knocked out. Please arrive early to get your seat for this event as the tournament will start promptly at 6:00 pm. PBUS has purchased a block of 50 tickets to the Terry Fator show at the Mirage for Tuesday night, February 26, 2019. Terry Fator is a ventriloquist, impressionist, comedian and singer from Dallas, TX. He was the winner of season two of America's Got Talent, and received the million-dollar prize. Today he is a Las Vegas strip headliner who captures the audience's hearts with his array of impersonations and puppets he uses in his act. Tickets will be available on a first come, first serve basis and will be sold for $110 per person, which includes bus transportation to and from the Terry Fator Theater. The bus will pick-up ticket holders beginning at 6:50 pm on the Carson Tower side of the Golden Nugget and will leave promptly by 7:00 pm. Return transportation will pick-up attendees where originally dropped-off at the Mirage and will leave immediately following the show. The bus cannot be held for late arrivals. Tickets can be purchased with your registration or HERE.